​Michael Vickery is Yeovil born and bred, and believes strongly in that a spirit of community can overcome the most difficult of opponents. His fight at the moment is against the 'Fracking' industry, which will potentially put three huge 'blocks' in a triangle around Yeovil. 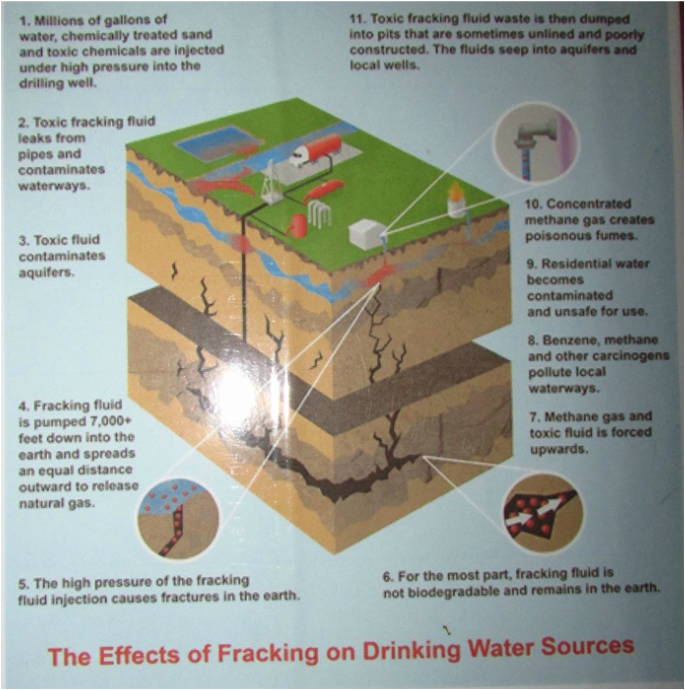 Hydraulic Fracturing, or 'Fracking', is a method of fossil fuel extraction. A deep well is drilled into the earth, a toxic mixture of sand, chemicals and high volumes of water is pumped down it, causing the earth to fracture, releasing shale gas for our energy consumption. ​The Tory government is currently on a mission to get this approved throughout the UK, and they will tell as many lies as needed to get the people to agree to it happening in their area. This is important to note: they will only succeed if the landowners agree to it. ​They will say it's safe: it's not ever going to be safe. 5% of wells leak immediately, spilling toxic chemicals onto the earth and into water systems. All wells will leak eventually, ALL OF THEM. We know this because it has already happened in the States and Australia. ​They will say that our safety procedures are better than those of the USA and Australia, but no one has seen any evidence for this. Michael tells me about a film he watched in which protesters capture on camera a tanker driving along with the toxic mixture inside. One cap was missing and they had stuck a rubber glove over it! Is it safe? Really? You may remember on 31st March 2011, there was an earthquake in Lancashire. At the time it was kept very hush hush about what was the cause of the earthquake, now we know: fracking had taken place on a known fault-line, because it is easier to extract the gas where their is already a fracture in the earth. Damage to property was not acknowledged by the company or government, and the whole incident was hushed up. ​This was one of the first things that Michael posted about on the Frack Free Yeovil Facebook group, when he got involved around two and a half years ago. Michael was the third member of the group, and now there are 5 members who meet regularly. When they began it was more informal, and involved getting the word out on Facebook, and now they are much more active, doing one event every month or so this year. ​In Somerset there are two major blocks planned. One covers the West coast, including Western-Super-Mare, and the other is the Eastern border, incorporating Longleat, Trowbridge, and a huge chunk of Salisbury Plain. This one reaches dangerously close to Bath, famous for it's healing springs, and no one knows how these ancient waters will be affected. The World Heritage Site status of Bath should be enough to alert the entire world to the seriousness of what the companies are planning. A third block is planned to the South on the Jurassic coast in Dorset, stretching from Weymouth to Bournemouth. ​So surrounding Yeovil there are 3 blocks planned in different directions within a 30 minute to one hour drive. Michael talks about people who are the 'Not In My Back Yard' protesters, who will only get involved if and when it affects them directly. Fair enough, people have busy lives and the 'NIMBYs' are very valuable helpers. But Michael argues that the area is so huge that even if it is not on one's doorstep, the chances are it will still have an affect on people's lives. And, the Tories apparently plan to cover 2/3rds of the country in fracking blocks, meaning it will eventually be in everyone's backyard. This is possible because of the new method of horizontal drilling they use. If you hear someone saying it will not be that destructive, then they are talking about the vertical drilling, which is what 'Fracking' was originally. Also, originally, they only used water with no chemicals, begging the question, why put chemicals in? The answer of course is money, as the chemicals mean the process is more efficient, therefore increasing profits. But these chemicals are causing major health problems to the people who live near them. 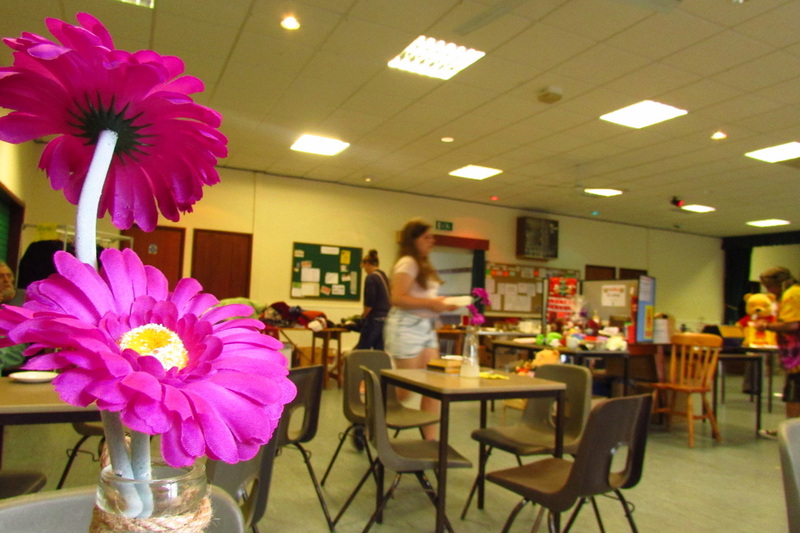 The Frack Free Yeovil group put on a movie night, where we watched the film Groundswell Rising. This covered issues in many places in the USA, showing people who had only contaminated drinking water, causing nosebleeds, skin and lung problems; people showering in methane contaminated water that burned their skin; people dealing with noise pollution from burning gasses (chemicals are released into the air as part of an unsafe waste disposal method) and heavy traffic; people whose property value plummeted because banks won't give mortgages in a place with polluted air and water. Promises of increased employment in the area are met with the realisation that these jobs are not for local people, but specialists relocate from elsewhere. Then, once the gas runs out, they are put out of work or forced to re-locate again, with their families, which could be up to 20 years later. Promises of being good for the economy are met with the realisation that the only people who actually profit are those at the top, and oil and gas prices have actually increased since the arrival of hydraulic fracking. These people are coerced into signing agreements to allow fracking on their land, and the companies will say anything to get them to sign it. Promises of safe drinking water, no increase in traffic and noise, that only one 'small well' will be put on the property: promises that have been broken. Once the landowner gives the go-ahead once, it is near impossible to stop anything else the company decides to do. All this affects people's mental health as well as physical. ​This is what Frack Free Yeovil and the other anti-fracking groups wish to portray the most: we all need to work together NOW to stop this happening in our country. Because once it begins, it is near impossible to stop. And bringing communities together WORKS! Groundswell Rising shows many examples of groups of people protesting and halting fracking in their area. (Although as you can imagine in the US all the companies do is relocate to another area where there is less resistance.) But the UK is that much smaller, more unified, and Michael believes it is possible to halt it before it begins. He tells me of an event he attended with 35 anti-fracking groups coming together, including one group from Australia. He was delighted that support had come from the other side of the world, and knows that the Australians would be the first to tell us ''Don't Let it Happen!'' This was a grassroots event, with no particular group leading the organisation, and was a great success. There are regional events too, the Somerset one being in March. 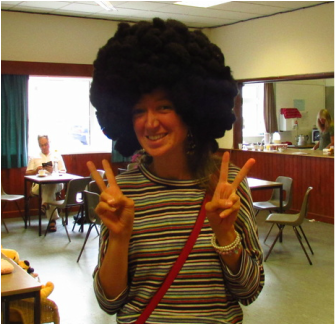 Frack Free Yeovil have put on several events including an information event in January, another one in June, the movie night in July and a jumble sale in August. Up and coming events include the Buskers Bash music event on 15th October, the Big Gig on 19th November (cheaper tickets available in advance) and Christmas Bingo on 6th December. These events are important, because as Groundswell Rising shows, many people are getting involved and doing something about it. Political views don't come into it at this level, it is simply about helping people who have been, or could be affected. that people have gone through, and the powerlessness they must feel at times. But we can see the human perspective as one that brings people together. raising community spirit will raise the consciousness of the planet. Michael and I would never have needed to have this conversation in the first place.